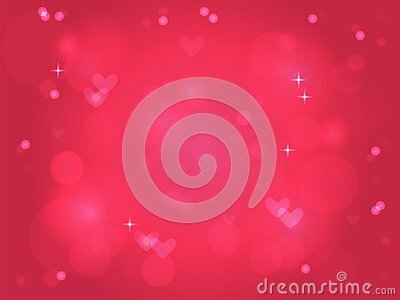 Pink light background for Valentines day. Blur effect. Abstract background. Glitter, hearts, glow. Romantic background. Easter bunny brush hand lettering on white background. Template for invitation.